Barrel: 4150V Chrom Moly steel. 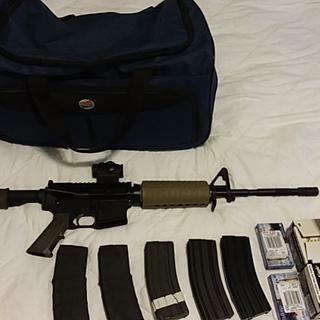 Chambered in 5.56 NATO, with a 1/7 twist, M4 barrel extension, and a carbine-length gas system. This M4 profile barrel is finished off with a standard handguard in Flat Dark Earth, F-Marked gas sight base, and A2 flash hider. Upper: Forged 7075-T6 A3 AR upper is machined to MIL-SPECS and hard coat anodized. These uppers are made for us right here in the USA by a mil-spec manufacturer. Bolt: Full-auto profile bolt carrier group. Milspec Carpenter No. 158® steel bolt, Shot Peened, High pressure tested, Mag particle inspected, Gas Key Hardened to USGI Specifications, Fastened with Grade 8 screws, and Staked Per Mil-Spec. 8620 steel M-16 profile carrier is chrome lined and phosphate coated. 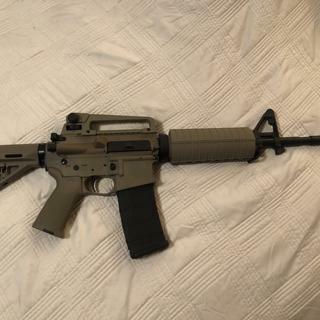 will this work with PSA AR 15 freedom classic lower flat dark earth? BEST ANSWER: Bruce I purchased this upper with the 7779346 lower and they work perfect. Yes absolutely. Any normal AR-15 lower should do just fine with that complete upper. Good luck to you and your build! Yes, I purchased this combination earlier this year and upper and lower fit and look great. Yes it will work just fine, also added a Devil Dog hard charger, works real good. Yes. I bought the same set up a few months back. I love it!!! What kind of sights will work with this upper? Can you put a red dot on it? BEST ANSWER: I put a Holosun red dot on it. It works great. Any red dot will work if it is high enough to 'co-witness' with normal AR sights. You can purchase a flip up sight for the rear. I put removable carrying handles with Bushnell Trophy Hunters scopes. On two and a UUA 4x16x50 EG on my long range one . THE ONLY SIGHT I'VE USED IS THE OLD M16 CARRY HANDLE SIGHT, WHICH HAS WORKED FOR ME. ONE CAN USE THE RED DOT AS WELL.THANKS. Yes, you can put a red dot sight on it. I put a Bushnell TR-25 with riser on it and it works great! A Red dot will work great with this upper, you can also co-witness with a back up iron sight. Yes. With the proper riser. What else would I need to make a complete gun if I bought this upper and the SKU: 7779346 lower? BEST ANSWER: You would need a rear sight and maybe some type of optic. Other than that you're golden. It's a good set up and well worth it. Thank you for the quick reply. I think Ill' try it. BEST ANSWER: It is nitride treated. It is not coated thus minor machining marks are visible. I would call it a semi gloss finish. Since the entire barrel is nitride treated the bore is also nitride. Nitride is more accurate and superior to chrome lined... for civilian use. I am a fan of nitride. Gears in heavy machinery are nitride treated for a reason, they are not chromed. It is worth doing some research on the subject. Be careful of opinion vs fact. It’s a black nitride finish that is shinier than a phosphate finish or the CHF FN barrels, but it is not high gloss. Machining marks are visible. Black nitride/ melonite. I love the finish personally. Finish was perfect, shiny black with no nicks, dings, or blemishes. Ran over 200 rounds through it without any issues, and was accurate at 100 yards. I am very satisfied with the one I purchased. Thread pitch 1/2 x28 ? which low profile gas block will fit this upper? Thanks! BEST ANSWER: .750 diameter. This upper is all mil-spec. any quailty standard .750" will fit and seal. Can this be shipped to me in California? BEST ANSWER: Yes, mine was shipped to me in California. BEST ANSWER: Yes, put gun in solid vice to protect threads. Yep, the evil flash hider has to go! I'm looking at getting a Boyd's handgaurd to attach. It says it needs to be the round retainer cap, is this a round or triangular? it is round, I have never seen any other kind. I am 98 per cent that it is round. Is this a complete upper that needs nothing other than a lower? Yes that is exactly what it is. Push on a lower with the two pins and go shoot. Yes it is a complete upper with all parts, bolt carrier group. Yes, well and a rear sight. Can I use an aero precision completed lower with this upper? Any mil spec lower will work. Can I attach the carry handle to this upper? 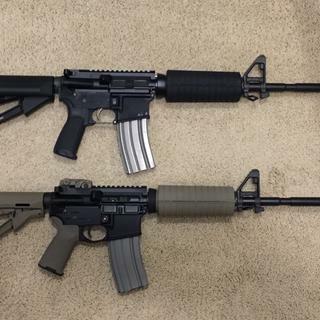 Concerning the "Carbine Length", "Mid-Length" and "Rifle Length" AR 15 Complete Uppers; Does each require a different "Buffer System" in the AR 15 Complete Lower? Does this setup come with the gas system installed? Yes it is already installed. Works well. Does this upper come with a rear sight? BEST ANSWER: No. You will have to purchase a carry handle, rear sight, or scope. No it doesn’t, unless it’s stated or pictured. Does this complete upper need to go through an FFL or can it be mailed directly to me? Unless your state or city has some weird law, it's just a gun part and not the serial numbered part that needs a background check. 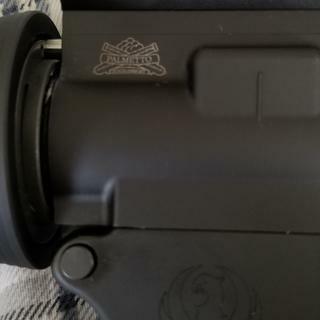 so the upper can come straight to me but the lower has to go through an FFL, is that correct? And thanks for the quick reply. It can be mailed directly to you. The lower needed to be mailed to an FFL. I live in VA and that was my experience. I don't understand, but thanks for the quick reply. It can be mailed straight to your front door. Will fit bushmaster lower ar15 ? BEST ANSWER: It'll fit any mil spec AR15 lower including the Bushmaster you are asking about. You will have no trouble fitting the A.R. 15 lower on the bushmaster. 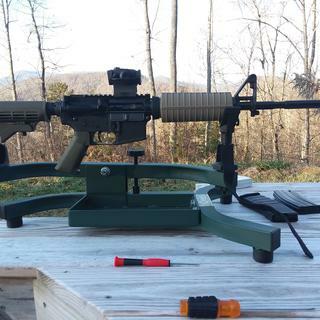 The AR 15 platform is very standardized. You only get into issues when you go to the AR 10 platform and then you need to keep upper and lower receivers specific to one manufacture. Yes, so long as it has the newer style small holes in the front and rear. BEST ANSWER: If it’s a complete upper that is all you need. Matter of fact any of the psa complete uppers will work as long as the calibers match up. The two items fit together like hand in glove with two pins. Rifle is ready to rock! Those and some sort of rear sight and you’re set. Will this fit a S&W sport 2 lower? Another one of my questions answered. Yes, The fit is not as tight as a Aero P or Anderson lowers. Put mine on a DPMS lower, and it fit fine. Don’t know about an S&W. Yes, it should if mil-spec lower. 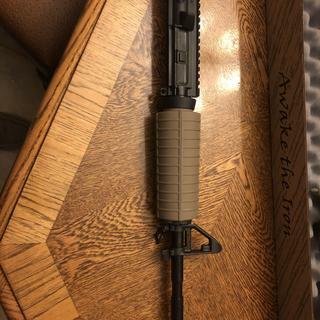 Does this Flat Dark Earth match the PSA Magpull lower AR color? 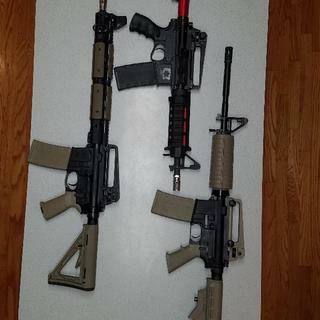 Lower AR color. Looks good together anyways! I’m extremely happy with mine. Is the handguard cap round or triangular? BEST ANSWER: Round. I swapped for a quad rail. Thank You..you must be a mind reader. A drop in Quadrail is exactly the direction I'm planning to go with. I appreciate the confirmation Sir. It is a round cap, definitely worth it for the price! Round must be the style for the shorter Carbine handguard, as my experience with the 20" Rifle was a Triangular cap...this allowed for a retro style re-fit on a few occasions. I have never paid attention to the PSA mid lengths I own...they've all remained as delivered. Can the plastic foregrip be swapped out on this relatively easily? BEST ANSWER: Yes sir, it's as easy as pulling back on the delta ring and lifting up the rear of the upper or lower handguard halves. It's easiest if the upper is on a gun and gig have a delta ring tool, but it's not impossible without. Hope that helps! Yes it can especially if you have the delta ring tool but I didn’t have one so I removed mine by hand which was also fairly easily. Yes my friend found it easy to swap out. mine doesn't appear to be from looking at it. So I'd say it is not. Will this fit a Spike's Tactical Complete Spider AR-15 Lower? I don't see why not. As long as the lower is mil spec it should fit. Yes. Spikes lowers are mil spec. Will this fit a Ruger ar556 lower? BEST ANSWER: I’m sure it would... 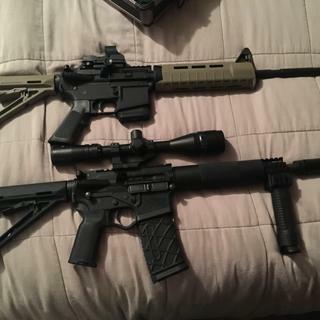 I've never had a Ruger556 lower but I have several different brand lowers and this upper has worked on all of them. Will this fire 223 rounds as well ? Can a vertical grip be added to this hanguard? BEST ANSWER: Yes, you can add a vertical grip to this. How long is the handguard? And what size quad rail will fit? BEST ANSWER: This has a standard size “CAR” length hand guard. (Not mid-length). So standard CAR length rail systems will work. standard carbine length is 7 inches. Too many quad rails to list, search the internet. 9 inch. 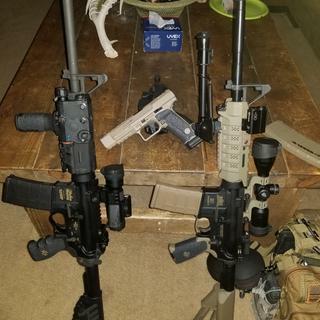 rail is what I put on my rifle, fit`s just fine. Would this upper fit a Olympic arms lower from 96? BEST ANSWER: Yes it will. The upper will fit standard lowers unless there is something unique about the lower. I would consider Olympic to be typical and would not be concerned about fitting this upper on it. Good luck! I switched it to a 94 lower to check and it all fit well...and it was an Olympic Arms. Mil-spec should make them all fit together as mine did. older olympic cast lowers can be iffy as to fitment. later forged ones were much more consistent. BEST ANSWER: I’ve only shot .223 out of mine with no issues with casing type. You need to buy this now! Love it! Can not wait to build my 1st AR PISTOL!! Good quality for the price, if you're looking for a decent upper for plinking, target practice, or home defense, this is nice for a entry level ar build. It just rigth dor hog hunting in the brush county. It my second one . Excellent product. Quality materials and workmanship. I have shot a 1000 reds thru this upper using Mag Pul mags and various types and makes of ammo. Used Wolf and better grades of ammo. No hiccups. Quality,fit,finnish,better than my more expensive ars,hits what i aim at,would trust with my life! Purchased this upper on Saturday, received Wednesday. Very impressed with the shipping time for this product. It arrived aassembled with all the parts. Clearances are tight with my Ruger lower and fit perfectly, headspacing seems good. I have not been to the range yet, but first tests with cycling rounds, etc. have been good. Great price for a quality upper. Super fast shipping too! Great experience all around.service, shipping,actual performance were excellent.definitely shopping at psa again. Great product , especially for the price! Extremely happy with my uppers from PSA, as well as all of the parts I purchased to build them. Great accuracy from there Milspec barrels, no malfunctions. Amazing for the price! Best Buy for the money! Another quality complete upper package from PSA!!! Great quality, clean and well put together!!! 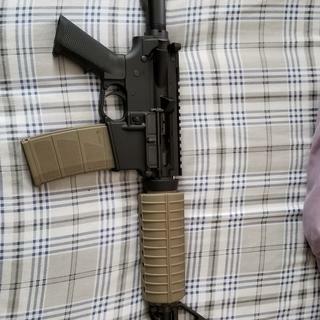 Bought this unit, with a PSA Classic lower, to teach my son all about AR/M4’s. This is one of multiple PSA items that I have purchased. A great product, well packaged to ensure it arrived in good condition. I am totally satisfied with every aspect of my purchase. Awesome fully functional upper receiver!! Just add a complete lower and you’re ready to roll! Absolutely love this upper! Ready to shoot right out of the box. Will certainly be looking for this to be on sale in the future. 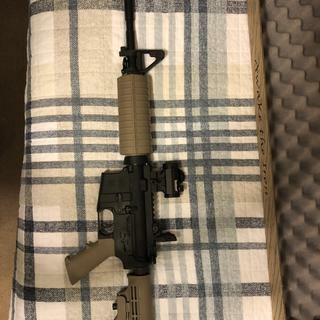 got it for black Friday, it did not disappoint, I have a National Match and everything that i use for the across the course, 200,300, and 600 match, but i will have more fun with this 16 inch with open carry handle sights. for sure will shoot it more. I shot a 16 inch on the 600 yrd course once, with fact ammo 55 gr it did ok, and it was fun. I bought this to go on a lightweight Cavalry Arms lower. After adding a Magpul rear sight I adjusted the windage from about fifteen yards then walked down to the 50 yard line and started pounding my eight inch steel gong. This is an excellent upper. This was my first build and I went great because of suppliers like Palmetto. The upper was just as described. It was the one part of the project that just fell into place. I will and have used them again for future projects. Good but someone was slacking in quality control. Upper was nice. The only thing I was not impressed with is the holes where the field strip pins go had the finish knocked off all around them. It was apparent the upper had been a demo and had changed lowers several times without any care. The zip tie that usually holds the bcg in had been cut also. Bought this as an anniversary present and he loves it. Just finished the build for Christmas and he couldn’t be happier. Great right out of the box , fit and function are great. Paired this with the basic PSA lower, wiped it down with some Frog Lube, put a bore snake through it & then shot about 500 rounds of mixed 5.56/.223 down the barrel without one glitch or hiccup. Really like the setup and the price was absolutely perfect. Great upper for the price. Very happy with my purchase! Best upper for a budget build. This is my second one of these. Can't beat them if your on a buget. Accuracy and build quality are above expectation at this price point. First off, this is the first AR platform that I've invested in. that being said, this upper looks to be a solid piece of machinery. I was at first thrown off by the price. Generally you get what you pay for in life. This is especially true with guns and gun parts. That being said, I think you get a bit more than you pay for with this. All in with the complete lower, complete upper, and a decent holo sight, I'm sitting at $400 in this piece. It shoots straight, and does the job I wanted it for (deer hunting out to 100 yards) with no problems. 3. Bolt Carrier Group (BCG) which is sometimes included with the lower. planning on getting another PSA AR SOON! Excellent product exactly as described, fed rounds with no issues. Priced amazingly, palmetto state armory is the best !!! Pleasantly surprised considering the price! 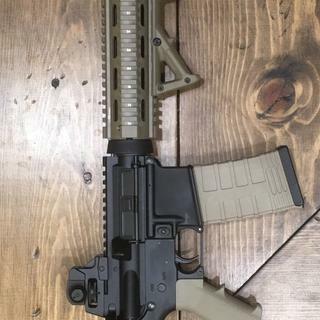 Good quality upper that made for a simple build. No quality issues. One of 3 PSA uppers I've purchased the last month. I wish I would have bought more. Awesome quality low price. Can't beat it for the money! For the money think it is very hard to beat this upper combined with the matching low. Only shot about 90 rounds through it with no modifications,but was impressed. on sale for a total price of $350 for this upper and matching lower can't see how you can go wrong. It fit a PA lower correctly. Looks good. Great low price option. Fit perfectly with my lower. Functions nicely with all ammo. Decent grouping at distance. Just what I was looking for to complete an inexpensive zombie riffle. 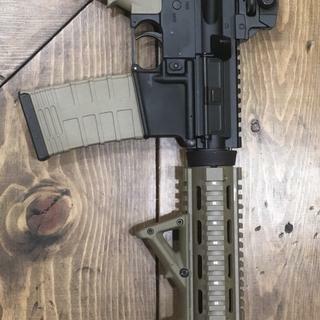 This Freedom M4 FDE upper receiver and BCG/Charging handle was a seamless addition to my already assembled AR15 lower assembly. As usual- PSA sent a perfect Upper/BCG/Charging handle. Great upper!! I have recommended to friends and family. Keep up the great work PSA! To it the range and had 0 issues. Looks great, although it hasn't been tried out yet, waiting to escape the PRK. Maybe daytrip to AZ. Love It! Always solid builds! Army Vet who loves building and playing with toys. WEll made. Had an issue with fitting the first one. PSA sent me a replacement & its great. This is my fourth PSA upper purchase. Very impressed with this carbine upper. Nothing special about the charging handle but the bcg is great. Staking is good, finish good. Did a break down and cleaning and bcg is good to go. Upper finish is also very good and fits snug with spikes lower. 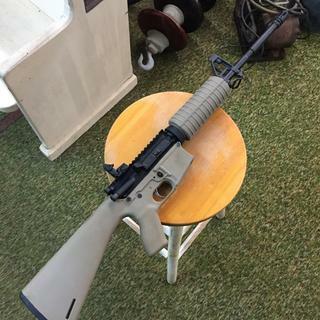 This would be a great upper for a light weight build. Front post is straight, no cant. I don't think you will find a better upper for the price. Will recommend this to everyone.